Amanda Renteria, a Democratic candidate for governor in California, has called on fellow gubernatorial candidate and current Lieutenant Governor Gavin Newsom (D., Calif.) to step down, accusing him of sexual misconduct and "misusing his power." In a lengthy series of tweets, Renteria pointed to allegations of an affair Newsom conducted with his appointments secretary while he was mayor of San Fransisco and to Newsom's dating of a 19-year-old student when he was 38. Renteria previously served as the political director of Hillary Clinton's 2016 presidential campaign. She announced her candidacy for governor on Feb. 14, 2018. Newsom previously served as the mayor of San Francisco from 2004 to 2010 before he was then elected lieutenant governor, defeating six candidates. Renteria initially tweeted a statement Thursday in which she called on Newsom to step down as lieutenant governor. She linked to a Medium post she wrote titled, "My #MeToo Story and Why It Matters," before turning to Newsom's history of alleged misconduct. Renteria pointed to two separate relationships she took issue with. The first occurred with his appointments secretary, whose husband was Newsom's campaign manager and friend. Newsom was also married at the time. The second involved Newsom dating a 19-year-old student whom he took to city gala where she was photographed drinking alcohol. Renteria tweeted an article from ABC News in 2006 detailing the affair. Renteria's calls follow California State Senator Tony Mendoza (D.) resigning in February because of sexual harassment allegations. He offered a 19-year-old intern alcohol in a hotel suite at a Democratic Party event, and was also the subject of a two-month investigation that found that he had "more likely than not" engaged in "unwanted" sexually suggestive behavior with six women, four of whom were subordinates. 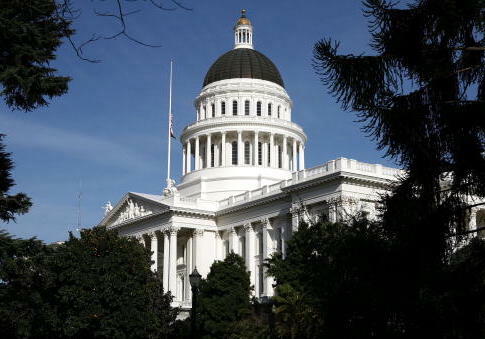 His resignation was part of a pattern of Californian lawmakers stepping down after sexual harassment allegations. Renteria concluded by describing the current moment as a "once in a lifetime opportunity" to promote change. Newsom has been considered one of the frontrunners in the race to replace Gov. Jerry Brown (D.). Former Los Angeles Mayor Antonio Villaraigosa (D.) is, based on recent polling, his closest challenger. This entry was posted in Politics and tagged California, Resignation, Sexual Harassment. Bookmark the permalink.